The beginning of a new year is the time many people find themselves reflecting on their resolutions and new goals for the year ahead. Whilst we always have the best intentions to keep our resolutions, most often somewhere along the way we tend to fall short at keeping all our new years resolutions and goals or staying on track. 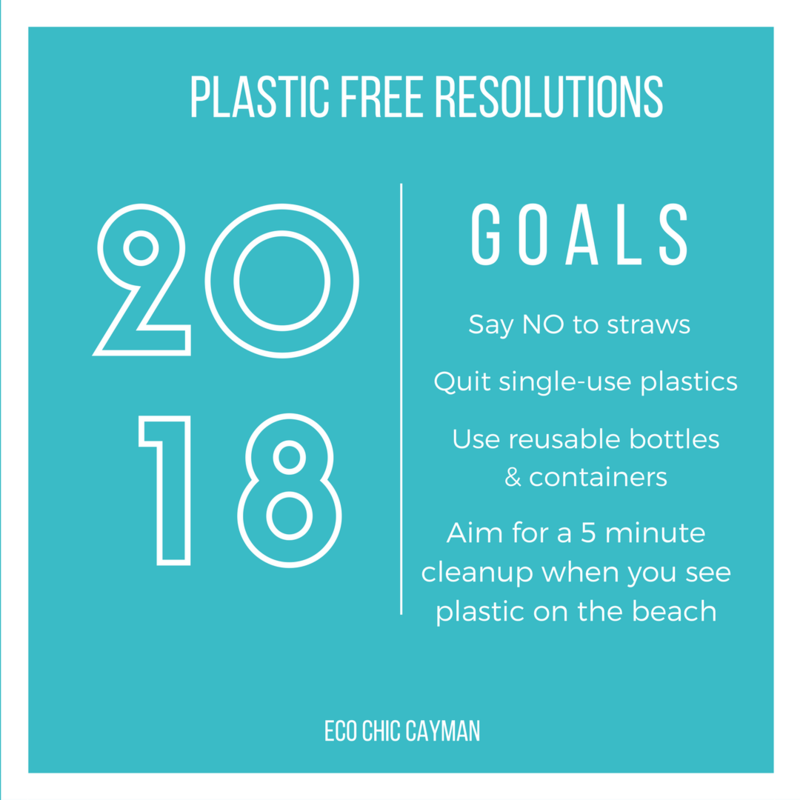 Below are green resolutions for the new year with a focus on going plastic-free. Specifically, to stop using single-use plastics. 6 single-use plastic items you can quit right now are: straws, plastic bags, disposable plastic cutlery, disposable plastic containers, water bottles, single-use coffee cups. Feel free to aim to achieve all of them, or start small and commit to one or two and follow through. Small steps add up to making a huge impact. A small and simple act such as, stop using plastic straws can make a huge impact. If your drink requires a straw, then consider investing in a reusable straw. When you go out to restaurants that typically serve drinks with straws, don’t forget to kindly ask them to not put a straw in your drink. Just to give a little perspective, in the U.S. 500 million plastic straws are used everyday. (Strawless Ocean). For residents of the Cayman Islands you can purchase a reusable straws by Peripheral Life & Style available at Jessie’s Juice Bar. Keeping with resolution #1, quit using other single-use plastics. This includes: straws, plastic bags, single use coffee cups and plastic water bottles. Each of these single-use plastic items has a reusable counterpart. A tip for your reusable bags: keep them in your car and one in your purse/bag so when you are on the go you always have a reusable bag with you. As for plastic water bottles, no matter if you are headed to work, the gym or the beach be sure to have your reusable water bottle with you. When traveling abroad, most airports and major cities have hydration stations so you don’t have to resort to purchasing a bottled water. Coffee lovers, you can find really great reusable coffee mugs perfect for life on-the-go. Some coffee places might give a discount when you bring in a reusable coffee cup. If you are in need of a reusable coffee cup, Jessie’s Juice Bar has a great selection. Ordering take-out or food-to-go when you have a busy day at work adds up in terms of its environmental impact. Consider investing in reusable containers and pack lunches beforehand to make your workday go a lot smoother and to help you reduce your use of disposable plastic containers. If you plan on eating out for lunch and you order a big meal, consider bringing along your reusable container so you have it as your to-go box instead of a plastic one. As for cutlery, stop using those plastic ones in their little plastic packets. Consider investing in reusable bamboo cutlery or just bring your cutlery from home. In an instance you do order take-out for the night don’t forget to ask the restaurant to not include plastic packets of disposable plastic cutlery. You don’t need them if you are eating at home. Plastic trash and debris does not have a place on beaches or in the ocean. Plastic is harmful to marine life, birds, wildlife and even coral reefs. Most often plastic particles floating around in the ocean is mistaken for food and can result in the death of marine life. Discarded fishing lines, fishing nets, and plastic bags can tangle up marine life, such as sharks and turtles and cause them to drown if they are unable to break free. In some cases, turtles, sharks and even whales have been seen swimming with fishing lines tangled around them. Should you come across trash in the ocean or along the beach, commit to at least 5 minutes to cleanup the beach and/or removing plastic debris out of the ocean. 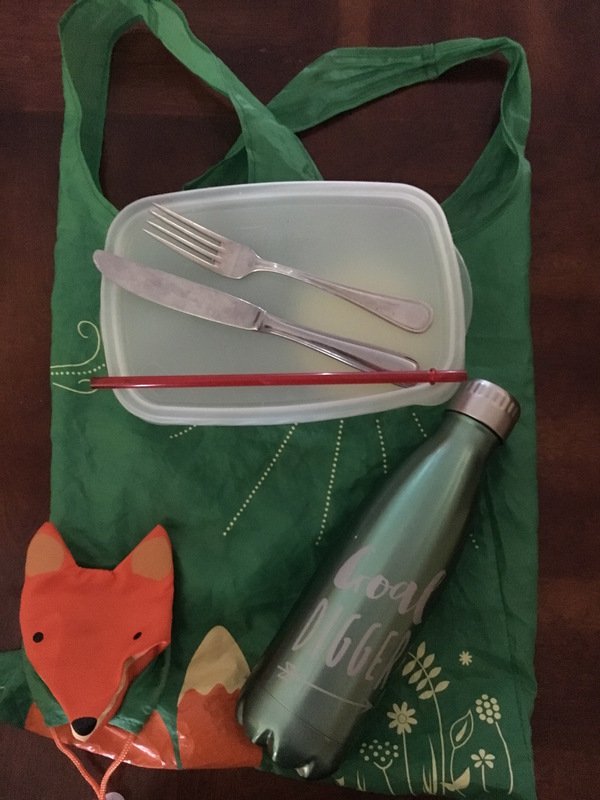 An easy way to help you stay on track to quitting the use of single-use plastics is to plan ahead, and keep a single-use plastic free kit with you. My single-use plastic free kit. All the best with keeping your resolutions. 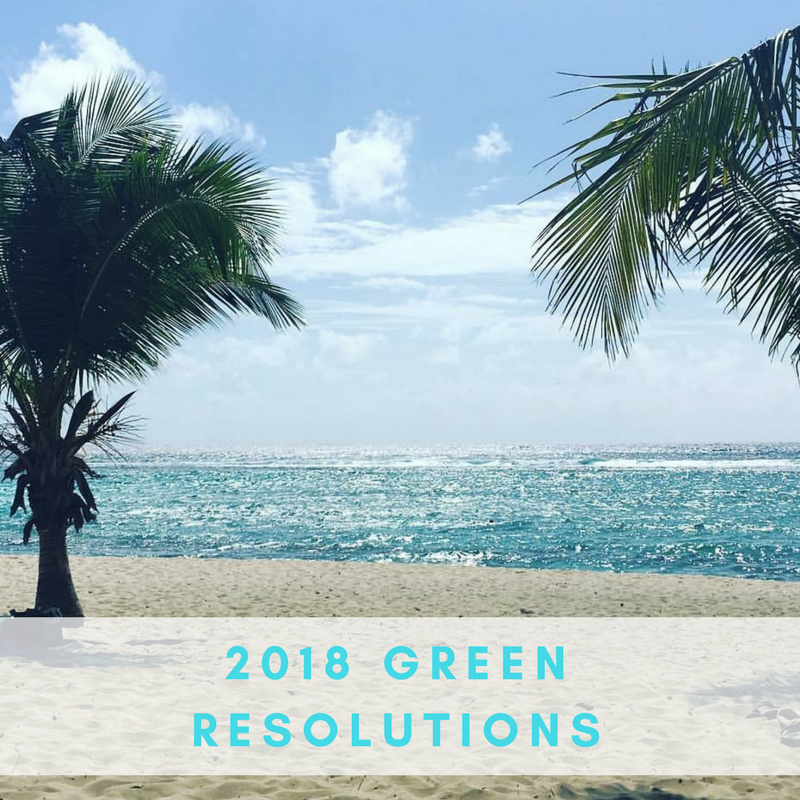 Comment below and share what green resolutions you are making this year.